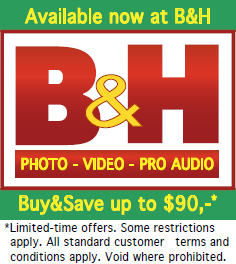 Just in case you haven’t seen the promo banner on our US-website yet – we currently have a unique promotion with B&H in place! Throughout the whole month of may you can buy your SilverFast 8 version or upgrade over at B&H and save up to US $90,- compared to the regular retail price. This is an exclusive promotion in cooperation with B&H – the professional’s choice – you won’t find a better price anywhere!